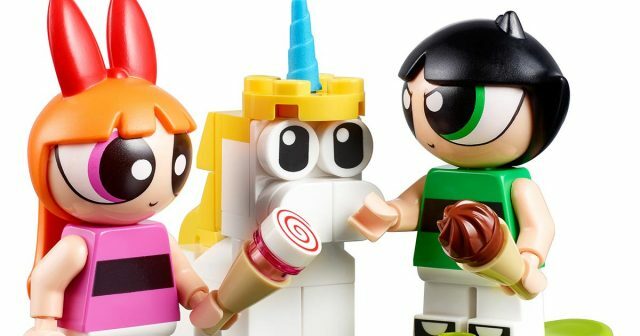 After teasing the minifigures way back in February, LEGO has finally revealed two sets from the Powerpuff Girls theme. 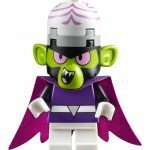 Both are small playsets, and the highlights for fans will definitely be the minifigures. They will be available August 1. 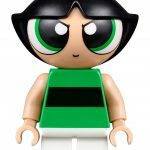 Help the Powerpuff Girls™ defend the Townsville playground from Princess Morbucks in this fun LEGO® The Powerpuff Girls 41287 Bubbles’ Playground Showdown! Climb the ladder and zoom down the rainbow slide before you race to the lunch bench and load up the catapult. Take a spin on the merry-go-round with Bubbles and then tuck Octi into one of the lockers for safety. Put a cell phone into the boombox for some music while you play, but be careful; Princess Morbucks has climbed into her flexible mech suit and is bending down to take aim at you! Who will become leader of the playground? 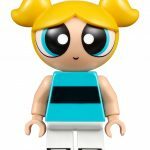 • Includes 2 minifigures: Bubbles and Princess Morbucks, plus an Octi figure. • Features a fully posable, flexible mech suit with removable power gloves, 2 stud shooters and space for a minifigure. 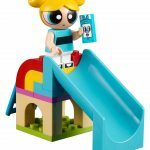 • This fun childrens toy also includes a slide with ladder, spinning merry-go-round with space for 4 minifigures, plus a lunch bench with catapult and lockers with 2 opening doors. 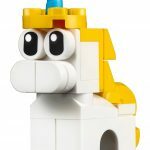 • Load a sandwich or milk carton element into the catapult and push down the front to launch it at Princess Morbucks. 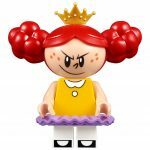 • Push the lever to fire Bubbles’ aura power shooters at Princess Morbucks. • Flick the lever on the mech suit’s stud shooters to launch studs at Bubbles or Octi. 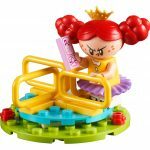 • Sit Princess Morbucks, Bubbles and Octi on the merry-go-round and go for a spin! 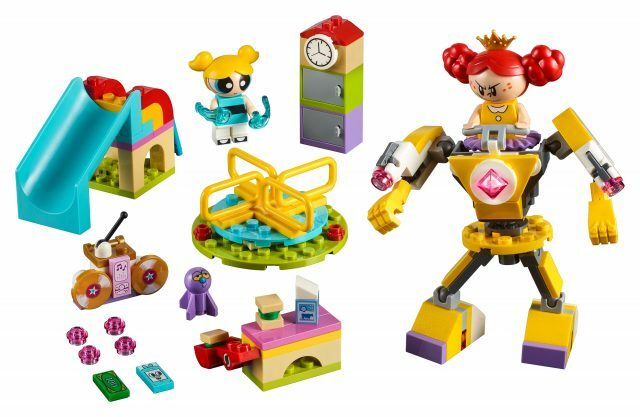 • Accessory elements include 2 cell phones, money bill, Bubbles’ aura power shooters, Princess Morbucks’ power gloves, 2 sandwiches and a milk carton, plus a buildable boombox. 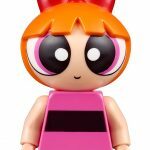 • Play out fun adventures from The Powerpuff Girls™ TV series. 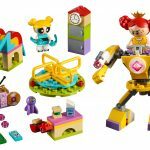 • Flexible mech suit with Princess Morbucks measures over 4” (12cm) high, 3” (9cm) wide and 1” (4cm) deep. • Slide measures over 1” (4cm) high, 3” (8cm) wide and 1” (3cm) deep. • Merry-go-round measures over 1” (3cm) high and 2” (6cm) across. 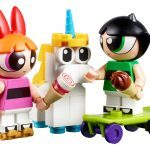 • Includes 3 minifigures: Blossom, Buttercup and Mojo Jojo, plus Donny the Unicorn and robot figures. • This cool toy for kids features an ice cream stand with a counter and ice cream launcher, plus a jewelry store with an opening door, rotating camera and a wall to shoot off with the getaway car’s stud shooter. 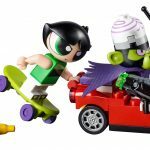 • Getaway car features an aimable stud shooter, space for the robot or stolen jewels and a handle on the back for one of the Powerpuff Girls™ to hang on. 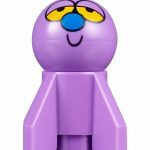 • Push the button to launch ice cream scoops and toppings at Mojo Jojo and his robot. 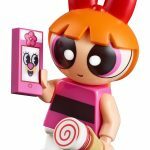 • Push the lever to break out the wall of the Townsville jewelry shop. 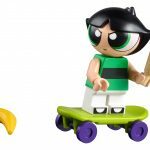 • Throw the banana out of the car or use the car’s stud shooter to trip up Blossom and Buttercup. 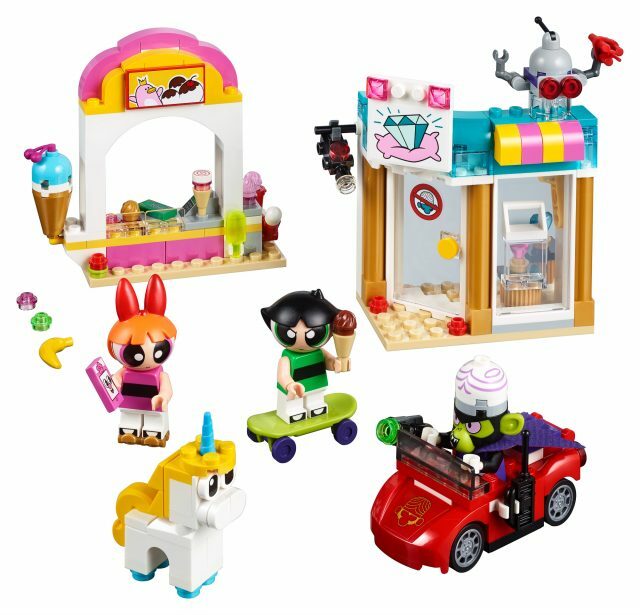 • Accessory elements include a remote control, 2 ice cream cones, 6 ice cream toppings, skateboard, pair of roller skates, cell phone, 2 diamond elements, dynamite and a banana. • Getaway car measures over 1” (3cm) high, 2” (6cm) long and 1” (4cm) wide. • Ice cream stand measures over 3” (9cm) high, 3” (9cm) wide and 1” (4cm) deep. • Jewelry store measures over 3” (10cm) high, 3” (9cm) wide and 1” (4cm) deep.
. . . Are we sure these aren’t Juniors sets? This is so bland, so boring, so disappointingly simple . . at least my wallet won’t have to worry about these. I agree with Taylor. The sets are incredibly simple and the parts aren’t anything special. 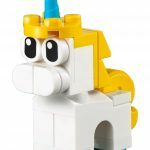 I find it very odd that LEGO went this direction and chose this as a new theme while there are so many other great pop culture possibilities out there.